UMX Multiple Usage: Unique & Cool - Color Carabiner Keychains Great For Your Key Chain Holders. 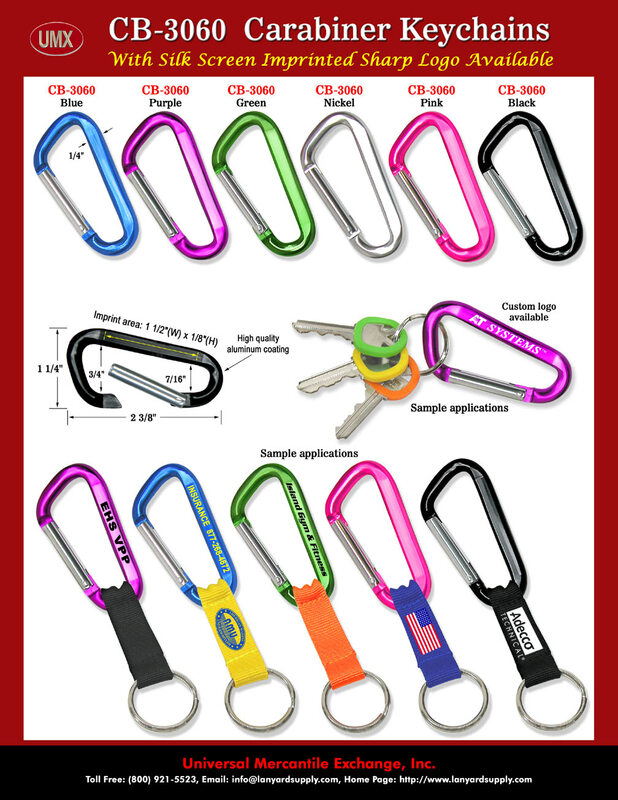 The unique and cool CB-3060 Carabiner keychains come with blue, purple, green, nickel, pink and black colors. They are made of light weight aluminum coated with different colors. Carabineer key chain can be used to keep your keys organized, or add Carabineer key chain to your lanyards or purse straps. You can buy an individual piece or single piece of plain / non-imprinted Carabiner keychain for your personal use or as a sample to test out. Custom Carabiner key holder is available too, we can do silk screen imprinting or laser cut for your custom logo or message with sharp image. You are viewing Lanyards > Snap Closure > Unique & Cool - Color Carabineer Key Chain, Karabiner Keychain or Carabineers Keychain Series.